Should Gilneans get a unique Human look? Tinkerers - Are they coming, if so how. Ankoan the legged Naga-like Race we wanted? 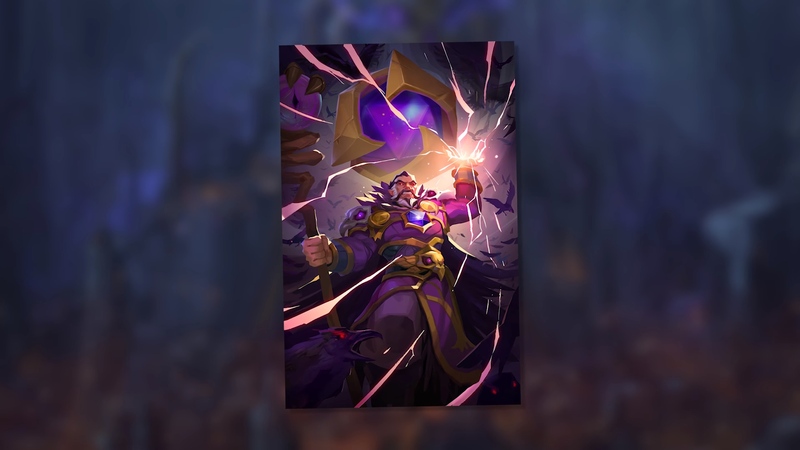 Announced at PAX East earlier this year, the first original lore chapter for Heroes of the Storm is finally here! 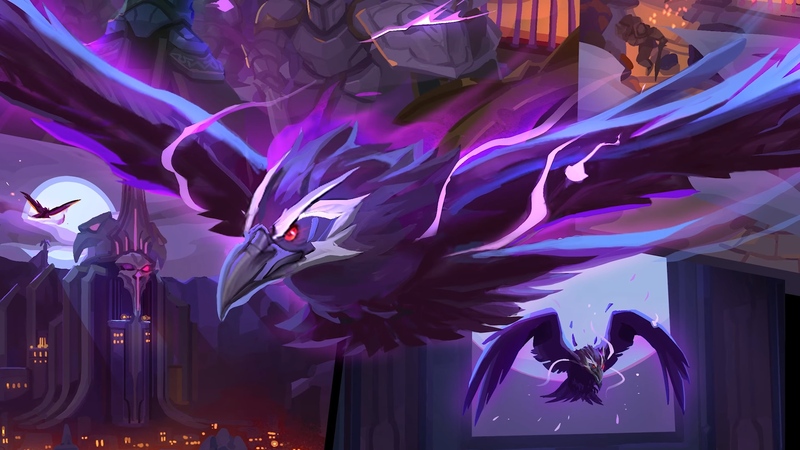 The Rise of the Raven Lord comic provides a first look at some of the forces at work in the Nexus. Be sure to check it out! 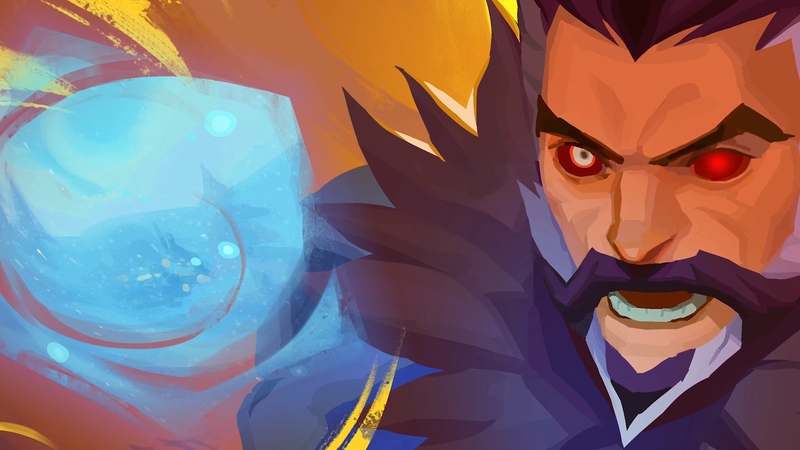 In addition to releasing this first comic, Creative Content Lead Kevin Johnson sat down with Game Director Alan Dabiri to talk about further lore updates coming this year. 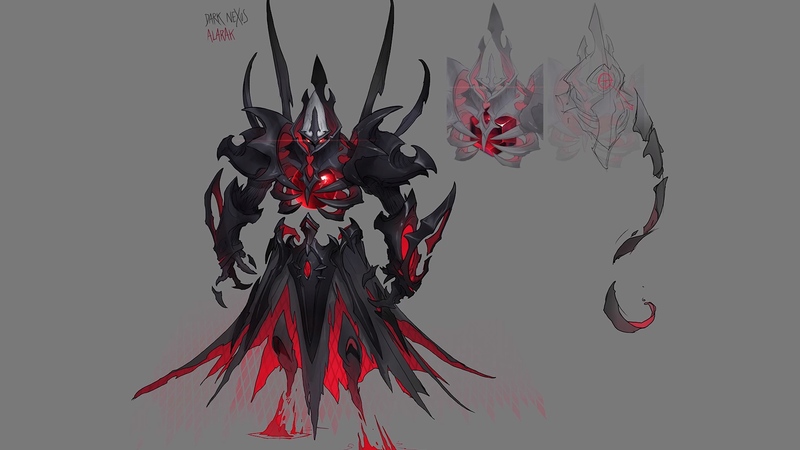 This includes the Dark Nexus event that we datamined recently. Note that this will be the first week that Fenix is on the free rotation. Make sure to check him out! HawkrayTV posted a highlight video of some of his Fenix plays, but with a bit of a twist to it. Profit with 1 loot box for participating, and an additional 5 loot boxes if your selected team wins! This week’s brawl is the Temple Arena! Harness the power of the Alligator, Cobra, and Jackal Temples to destroy the enemy Core! Choose from one of three randomly selected Heroes before entering the Arena. Be quick about it though, you only have 30 seconds to choose! Everyone will begin the round at level 10 and will be asked to choose a Heroic Ability. No other talents will be available. During each round, slay the enemy team’s Heroes and capture the Temple Shrines to take shots at their Core! The Core for each team will have set amounts of health based on the number of active Shrines. Each round can have 1-3 active Shrines. The first team whose Core reaches 0 health will lose the round. Be the first team to win 2 rounds and claim victory! Complete three matches of the Temple Arena to earn a Loot Chest! 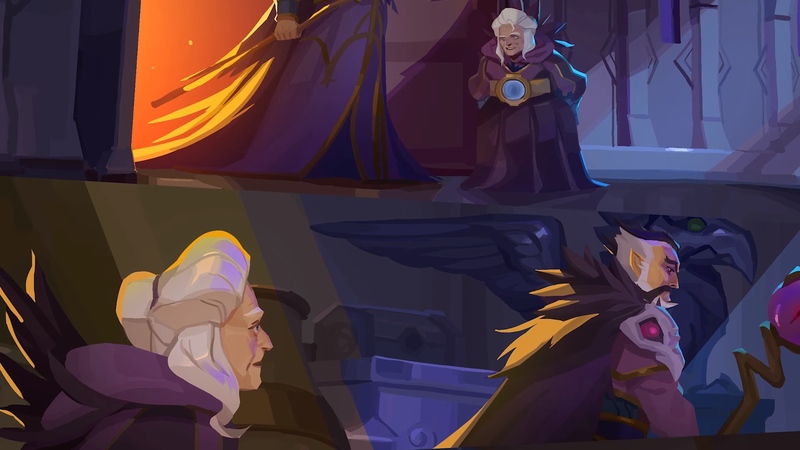 Blizzard posted a short video to Twitter for those who may not be familiar with Deckard Cain's origins in the Diablo universe. A few players were disappointed to see that Deckard Cain's healing potions don't turn purple when you pick the Rejuvenation Potion talent, prompting a couple of developer responses on the subject. Please turn Deckard Cain's potions purple when you select the Rejuvenation Potion talent at level 4. This was an iconic part of D2. Thank you, Blizzard. I might just be blind to this merc camp statement, but those appear as yellow on the Mini-map. Do they change to purple on the minimap if the mercs are killed but not capped? 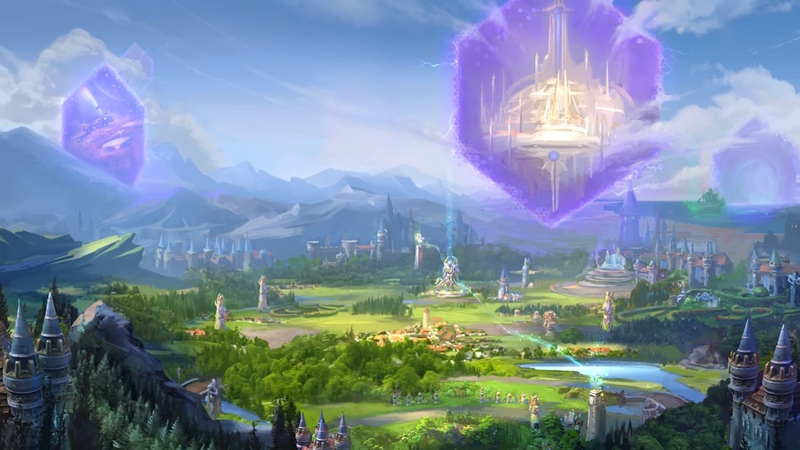 Developer Lana Bachynski returns for this week's Heroes Global Championship recap and provides updates on how the various regions have progressed. Deckard Cain has joined the Nexus with our latest Heroes of the Storm patch! 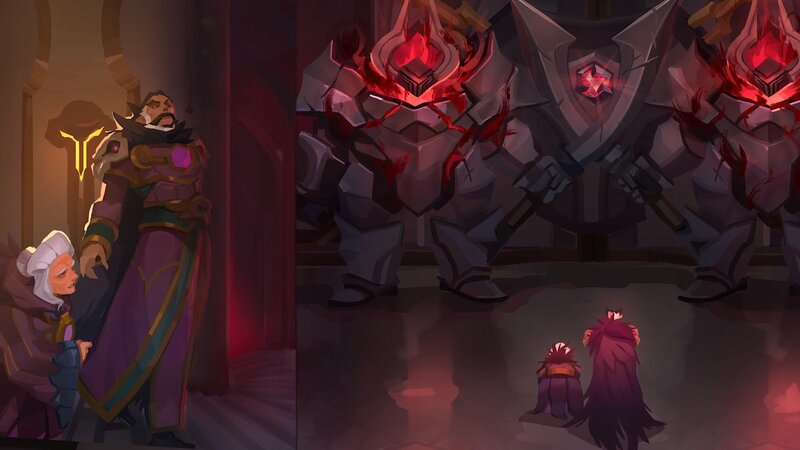 Read on to learn more about the new Support Hero, as well as a number of new balance changes, skins, mounts, and more. NOTE: Orange text indicates a difference between the PTR and Live patch notes. 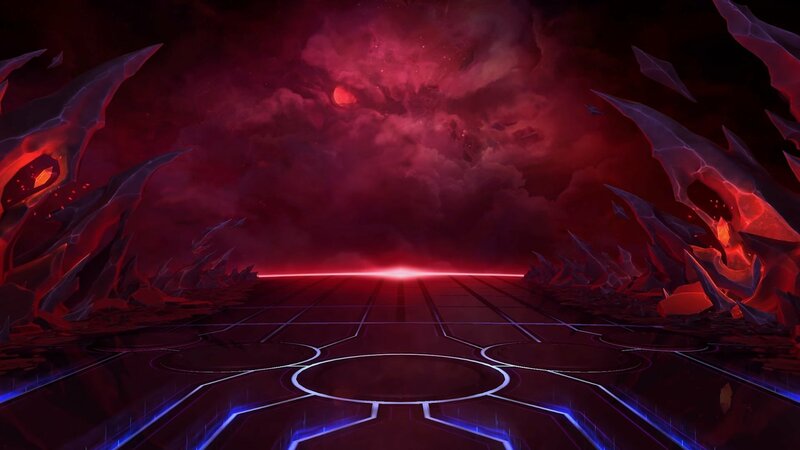 Heroes of the Storm’s Home Screen has received significant improvements. A secondary navigation bar has been added near the top of the Home Screen, beneath the existing Play, Collection, Loot, and Watch buttons. Click each tab on the Home Screen navigation bar to switch among different categories of Heroes-related news. Home Screen tabs will be updated regularly, and will commonly include information about the latest Hero, the current in-game event, Heroes Esports, and more. Each Home Screen tab features additional news items near the bottom of the screen, which can be clicked to find out more details about that topic. For example: Home Screen buttons may link to Heroes and other items in the Collection, the latest Hero Spotlight Video, the Heroes Global Championship Schedule, and more. An avid scholar, Deckard Cain has dedicated his life to the pursuit of knowledge. He has been an advisor, storyteller, and friend to Sanctuary’s greatest heroes, guiding them through peril time and again. When Deckard speaks, it’s wise to stay awhile and listen. When at least 1 other allied Hero is nearby, Deckard gains 10 Armor and his Basic Abilities recharge 50% faster. Toss a Healing Potion on the ground that heals the first allied Hero that comes in contact with it for 230. 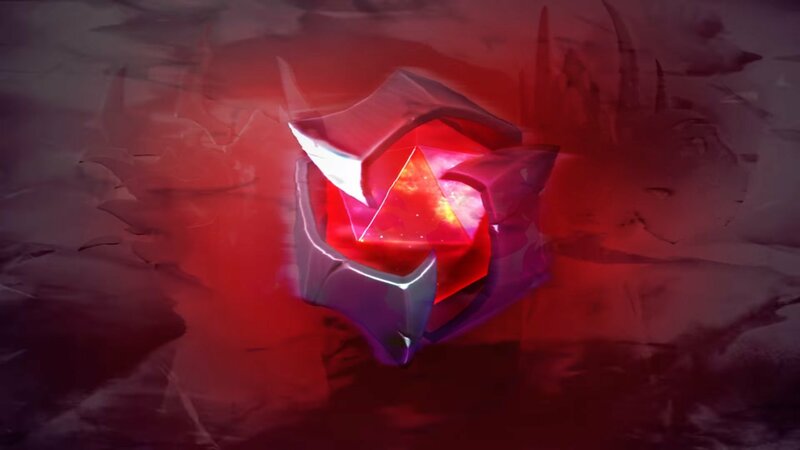 Throw the Horadric Cube, dealing 80 damage to all enemies in the area and Slowing them by 40% for 1.75 seconds. Unfurl an enchanted scroll, forming a triangle that deals 150 damage to enemies inside and Roots them for 1.5 seconds. After 1 second, Channel for 3 seconds, putting enemy Heroes in front of Deckard to Sleep while Channeling, and for 2 seconds after. Enemies can only be put to Sleep once per cast, and Sleep’s effects end instantly if they take damage. Create a swirling lorenado that travels in the targeted direction, continually knocking away any enemies that come into contact with it. 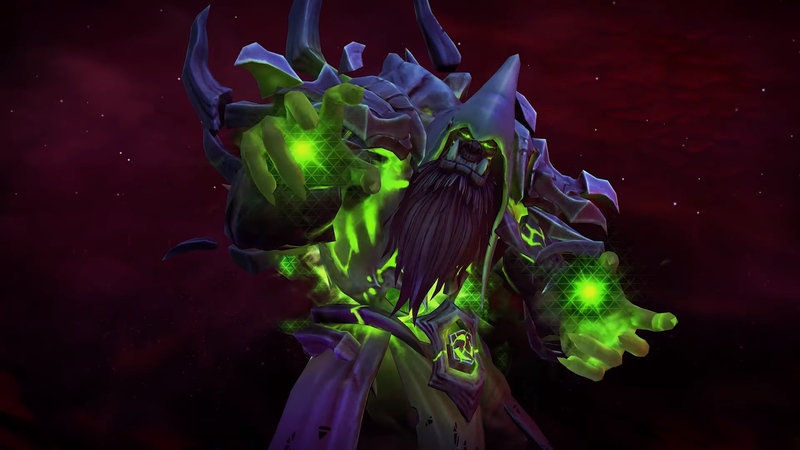 Gul’dan: Has received updated visual effects to make his Abilities easier to spot during battle. 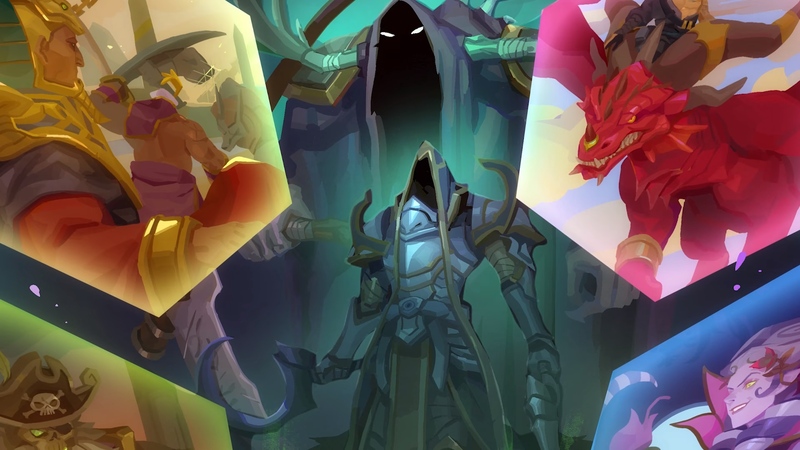 Hero portraits in Draft Lobbies will now use 2D Base Hero art rather than animated 3D Hero Skin models in order to help make Hero picks easier to differentiate from one another at a glance. For example: It should now be easier to tell whether a teammate has selected Falstad or Muradin during a draft. 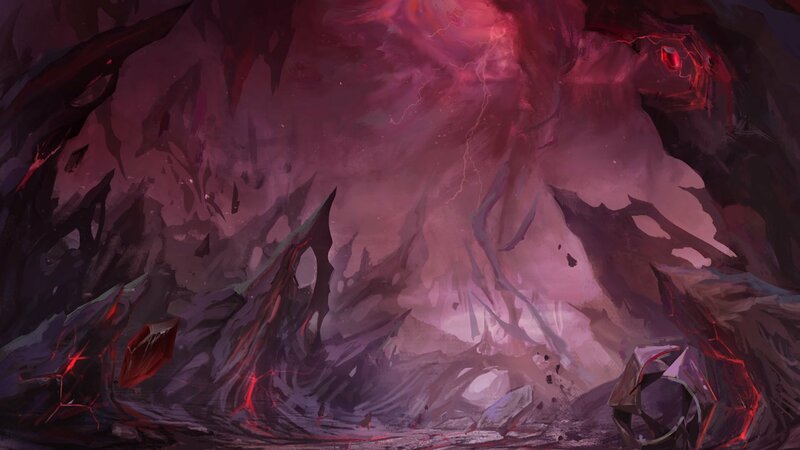 Skillshots, as well as other Abilities and Talents that search for targets, will now pass through Invulnerable targets without granting quest progress. Will no longer burrow while defending its camp. Pod impact locations will now display warning indicators on the terrain. Pods now explode immediately on impact, and no longer spawn Podlings. Increased the number of Pods launched per cast. All of the above changes also apply to captured Swarm Hosts. Pods can now target Structures. Developer Comment: We believe the Warhead Junction boss is a cool variant of the standard golem boss found on most maps, but it had some inconsistencies that needed addressing. These changes essentially make the boss a better version of itself—its neutral and captured versions are closer in power, and its Slime Pods create a cooler moment than its Podlings did previously. Now has a 0.25 second cooldown between uses. 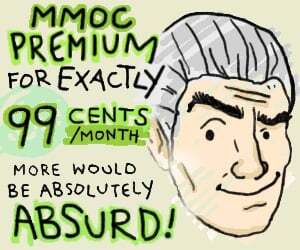 Now grants its Basic Attack damage bonus after any movement, rather than only after unmounted movement. Health increased from 1550 to 1620. Health Regen increased from 3.2304 to 3.3750. Basic Attack damage increased from 42 to 44. Cooldown increased from 10 to 12 seconds. Range reduced from 14 to 12. Damage increased from 220 to 240. Killing an enemy Hero who was recently hit by Dragonblade no longer resets Swift Strike’s cooldown. Cooldown reduction increased from 5 to 7 seconds. No longer increases Cyber Agility’s cooldown. Now also resets Swift Strike’s cooldown if an enemy Hero dies within 2 seconds after being hit by Dragonblade. Developer Comment: We’re making some changes to Genji to try and make him less frustrating to play against and give opponents more options with which to counter him. While we think resetting Swift Strike’s cooldown after killing enemy Heroes with Dragonblade made for cool, flashy plays, it shut down too many other Heroes too often. It also caused too many games to become about how much value Genji was able to get out of Dragonblade and little else. We like the flashiness that Dragonblade resets can provide, so we’re keeping that functionality, but we’re now adding it to his Level 20 Storm Talent version of the Heroic. We’re also increasing his Health and Basic Attack damage, reducing the range of Swift Strike, and increasing the cooldown of Cyber Agility to reduce his mobility while boosting his base stats to compensate. Shadow Dagger now briefly reveals enemies upon spreading to them. The player can now exit Nydus Worms in a direction of their choosing by right-clicking. Players can now exit Blaze's Bunker in the direction of their choosing by right-clicking. The Bunker’s hitbox has been adjusted to more closely match its model. This should reduce situations in which players could unintentionally enter Blaze’s bunker when clicking nearby. We've once again teamed up with Carbot Animations to add even more HeroStorm-themed portraits and sprays in their signature art style! 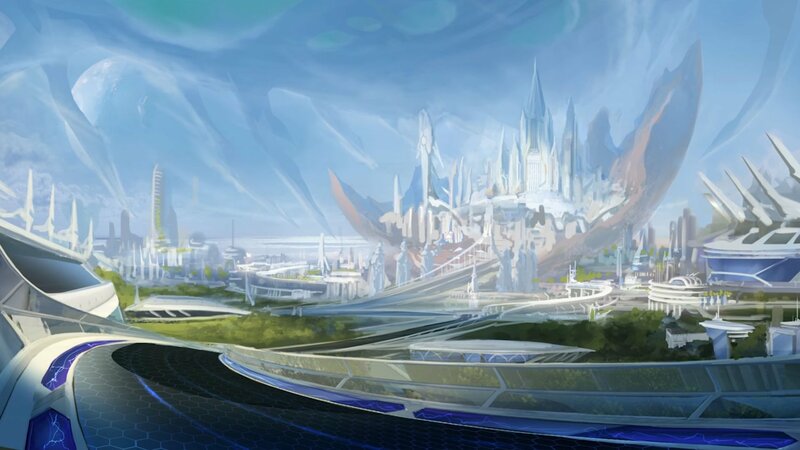 Catch a preview in the latest In-Development blog. Hanzo: Fixed an issue that could cause A.I. Hanzo to repeatedly Channel and cancel Storm Bow. Blaze: Icon art has been swapped for the Adhesive Petroleum and Oil Dispersal Talents. Lunar Sylvanas: Fixed an issue causing Lunar Sylvanas to play an incorrect animation on the Most Played screen. 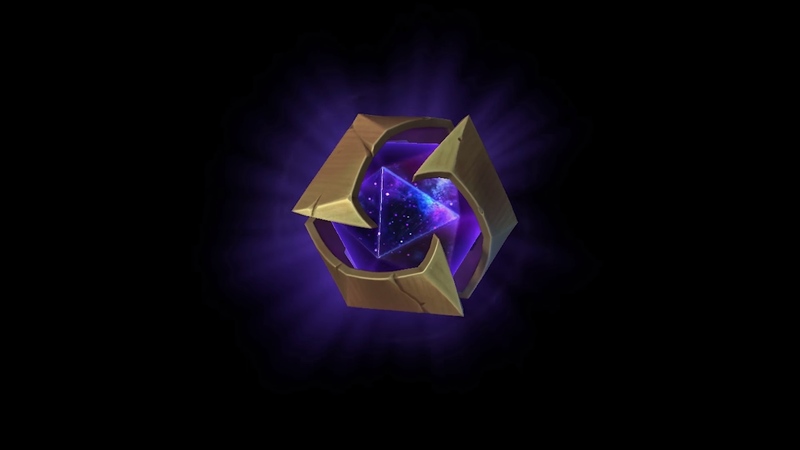 Checkpoint: Hanamura (Brawl): The Brawl Info tooltip now correctly states that Health Packs restore 35% Health and Mana. Tomb of the Spider Queen: The left-side team’s bottom Fort can no longer attack enemy Heroes who are just beyond the Gate. Try Mode: Tychus’ Dash Talent now correctly grants its Movement Speed reward after using the Complete Quests button. Try Mode: Uther’s Silver Touch Talent now correctly grants its second Mana cost reduction reward to Holy Light after using the Complete Quests button. Abathur: The number of Minions Absorbed stacks no longer appear inconsistent in the Buff bar after Abathur dies while a Monstrosity is active. Abathur: Fixed an issue causing Spike Burst’s visual effects to appear much larger than intended when cast while targeting a Mercenary with Symbiote. 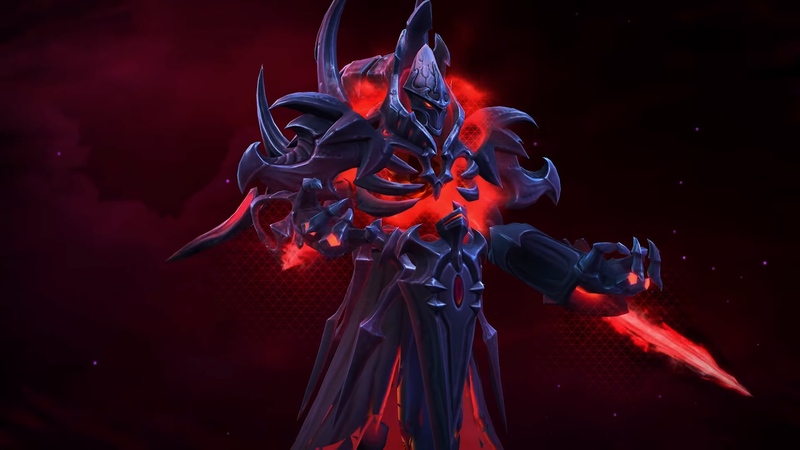 Alarak: Free Lightning Surge casts granted by the Lightning Barrage Talent now correctly display its cast range indicator. Ana: Nano Boost’s duration bar now appears next to, rather than replaces, any existing Ability duration bars for the targeted Ally, like Sonya’s Whirlwind. Brightwing: Can now correctly cast Blink Heal on Turrets and Biotic Emitters that were placed by Brightwing herself. Cho: Entering a Stasis effect, like Zeratul’s Void Prison, while Surging Fist is charging no longer places Surging Fist on full cooldown. Fog of War: Hitting an enemy with certain targeted, ranged Abilities, like Sylvanas’ Shadow Dagger, just before the target enters Fog of War or a Line of Sight Blocker now correctly reveal that enemy. Fog of War: Fixed an issue in which attempting to cast a targeted Ability through the Fog of War on a snapshot of a unit that no longer exists could cause the Hero to path into the terrain and become stuck. Greymane: Partial progress earned toward the Wizened Duelist Talent’s next attack damage bonus will no longer persist after dying. Hanzo: Natural Agility now activates correctly after being hit by Phase Prism near a tower. Illidan: Can now correctly cast Dive on Ragnaros in Molten Core form. 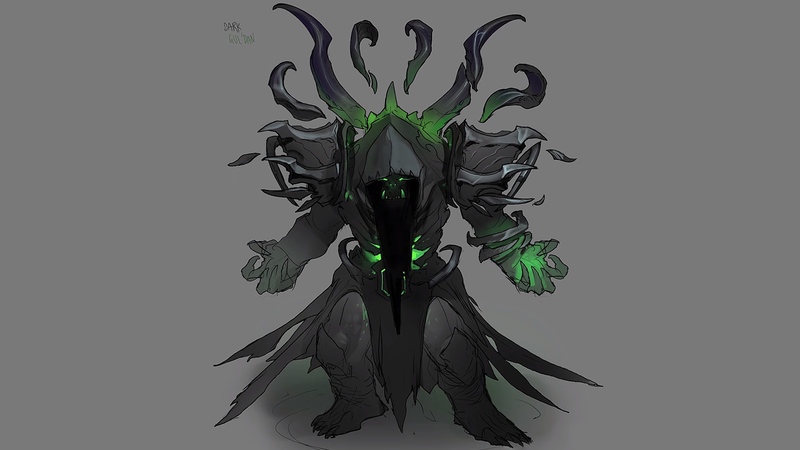 Kel’Thuzad: Phylactery can no longer be activated before its animation completes. Li-Ming: Spell Armor granted by the Force Armor Talent is now correctly consumed when hit by Ability damage from non-Heroic sources. Rexxar: The tooltip for Misha, Focus! no longer lists a cooldown. Rexxar: Switching seats in a Triglav Protector no longer causes Rexxar to become unresponsive. The Lost Vikings: Stealth granted by the Spy Games Talent is now correctly applied for 3 seconds after Erik moves. Thrall: Killing Minions who were hit by Chain Lightning now correctly causes Echo of the Elements quest progress visual effects to appear near Thrall, rather than allies. Uther: Fixed an issue in which Uther could briefly use activated Talents after death, but prior to entering Eternal Vanguard form. Uther: The Silver Touch Talent’s quest rewards no longer incorrectly benefit Flash of Light. Zagara: The Infest Talent now correctly boosts nearby Ranged Minion damage by 100%. Zeratul: After death, Zeratul’s body will no longer teleport to the location of his last Vorpal Blade target. 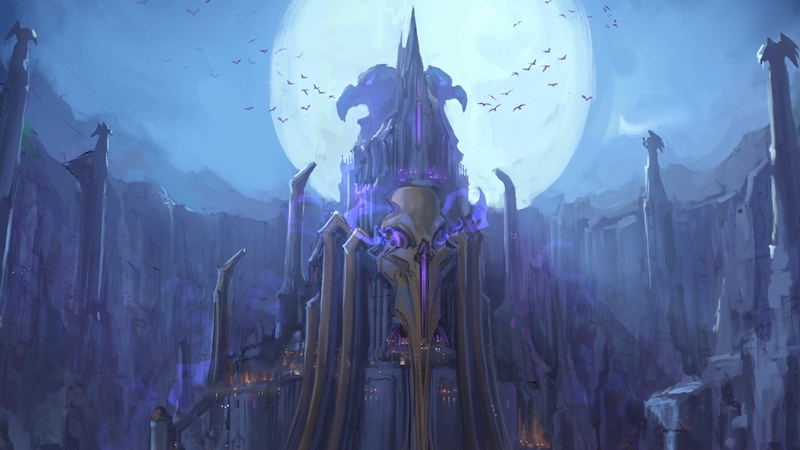 Gul’dan: The voiceover line that plays while idling on Gul’dan’s Hero page in the Collection no longer ends early. Pings: Fixed an issue in which muting a player would not prevent icons related to that player’s pings from appearing. Hotkeys: Fixed an issue that could occasionally cause Heroes to ignore Force Move commands.